Ahhh. Sometimes, life above the arctic circle is just so… good. Sunny weather, green fields, snowcapped mountains, and huge amounts of Ephemera vulgata mayflies hatching. What more can you ask for? 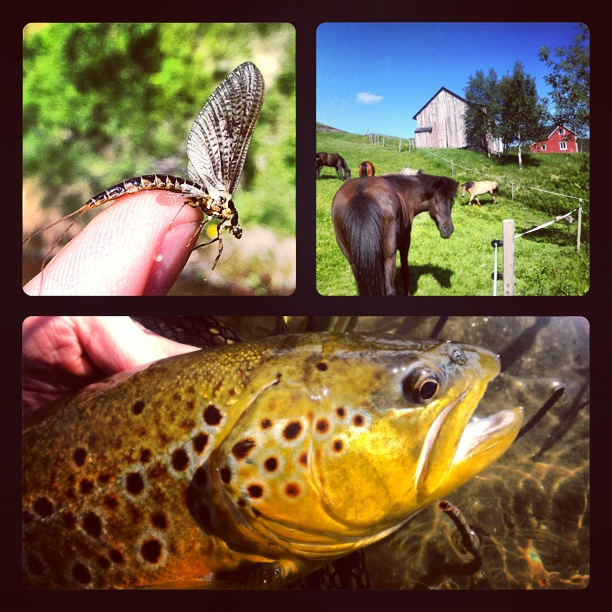 I only caught one single fish today, but it was a really good one, a 2,4 kg (5,3 lb) wild brown trout on the dry fly. Now: celebrating with a chilled Chablis before going up to the mountains tomorrow. I have a date with my favourite fish – the arctic char. I´ll probably fail miserably as ususal – there´s a reason they call it the permit of the north – but right now, that doesn´t matter at all.